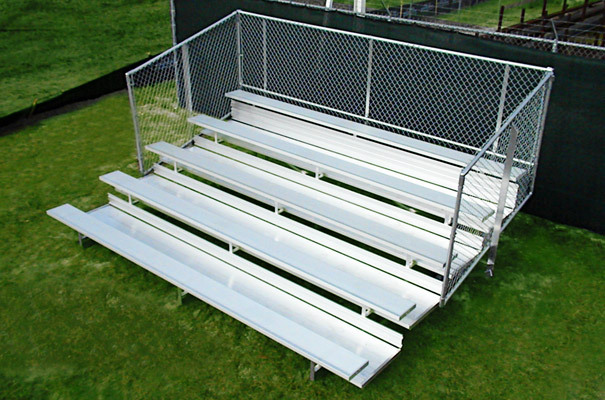 20% wider seats and 25% more leg room than standard bleachers, with comfortable 12" seat planks and wide 30" double footboards. All planks have a grooved-type non-slip safety surface. All aluminum is extruded pre-tempered grade 6061-T6 alloy, ensuring uniform strength, ultimate durability & superior corrosion resistance. Semi-closed decking standard on all units, choice of Chainlink guardrails or aluminum vertical picket guardrails and optional aisle with handrail on 5 row units only.